What the OTIF Mandate Means for Walmart – and What it Means for You (Part 2) - E2open | Demand. Supply. Delivered. Part 1 of this blog focused on Walmart’s® motivations for introducing the on-time, in-full (OTIF) mandate, but how does that affect your organization? The pace of change faced by Walmart, and in turn its suppliers, is only going to quicken. There is much that consumer packaged goods (CPG) companies can learn from Walmart’s response to the need for rapid transformation. Until recently, the supply chains for CPG companies used to end with their distribution centers (DCs) serving Walmart DCs. The demand from a Walmart DC or another retailer’s DC was lumpy by definition. Store demand in general was a theoretical concept, sometimes heard about and seldom utilized. Now, however, since Walmart’s DCs and stores won’t be storing inventory in excess of optimal levels determined by demand and supply characteristics, they’ll effectively be passing the end consumer demand through to CPG companies. If the loss of inventory is a challenge, the filtering through of real demand is an opportunity. Traditionally, data from Walmart and other retailers has been used by account teams to confirm the achievement of metrics and service-level agreements (SLAs), cross-check penalties computed by retailers and identify root causes of shortfalls such as inadequate supply, insufficient forecasts, or warehouse or transportation delays. While such findings have been shared with other functions, the data itself has rarely been utilized deeper within the supply chain. At most, account teams have provided a monthly forecast to demand planners and measured performance against it. Walmart is now sharing more data — such as on-shelf customer availability (OSCA) — more frequently. Whether the month-ago forecast was accurate or not, the current on-shelf availability and point-of-sale (POS) information is likely to be invaluable. If the demand planning process were geared to run faster, this daily information feed could be utilized to better sense demand and better stage supply. The first step is to establish a repository to cleanse, normalize and standardize the data in a central location that would allow multiple stakeholders like account teams, corporate demand planners and others to view the data in the context that they require it in. The environment should also allow that data to be consumed by systems for demand planning, demand sensing and inventory management. New demand streams like Walmart’s forecast of end-consumer demand will improve forecast accuracy and lead to leaner, more efficient inventory replenishment. Establishing flow takes more than the best forecast. Companies need to be able to respond smoothly with the help of all internal and external stakeholders. This takes end-to-end planning and execution, including the sensing of demand; the optimization of inventory; real-time collaboration with suppliers, co-manufacturers and other partners; and prioritized replenishments. In depleting inventory at DCs and stores, Walmart has taken the first step to reduce buffering, lumpiness and the bull-whip effect by making its own orders more representative of end-consumer demand. 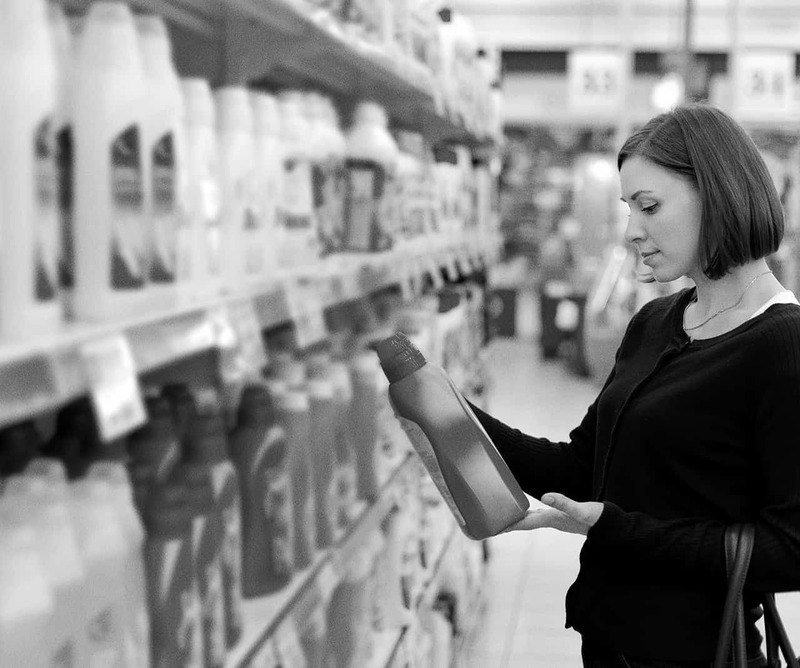 Following Walmart’s example, CPG companies must enable their own partners and internal functions by sharing more information with them to streamline the material flow. Walmart is not just a demanding customer but also a role model for the digital transformations of CPG company supply chains. Tight delivery windows and the inability to ship early mean that expediting alone will no longer suffice to avoid penalties. Companies must allocate the variability in their supply chains where it is needed most. For example, if shipments managed by a third party logistics (3PL) provider are sometimes early and sometimes late, then the window for goods to be picked up is tighter still. However, this also suggests where interventions can add the most value. Companies investing in forecasting shipment needs by lane, mode and day can secure capacity with preferred transportation providers early. Enabling 3PLs and others to do their job better by giving them more and timely information is preferable to hoping to change performance through passed-on penalties, because the margins of 3PLs, co-manufacturers and other partners are typically too low to absorb all of Walmart’s late fees. The best way to manage variability is by closely monitoring all parts of the end-to-end supply chain in real time. Insights gained from such shared visibility and joint root-cause analyses can be used to help all functions and all partners become more consistent and reliable in their commitments and responses. As the physical takes on characteristics of the digital, all your channels will start aligning in terms of their influence on your supply chain. Looking outside from within your company, the way you service your end consumers is effectively going to be the same, whether it’s through Walmart or another retailer, Amazon® or your own website. Looking in from outside, what your customers perceive will be a unified brand experience with its attributes perpetuated across channel boundaries. Ultimately, CPG companies can use this season as an opportunity to guide their digital transformation efforts. Walmart just made it easier to build a solid business case. Miss Part 1 of this blog post? Read it here.